Is the Otter Trail really worth the year-long waiting list? 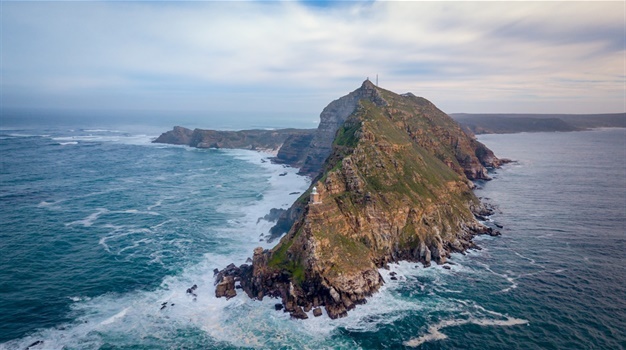 Parts of the Garden Route have been declared a disaster zone due to a devastating fire - SANParks has however confirmed the Otter Trail has been unaffected by the events in the area - See News24's coverage here. Here Chanel Cartell and Stevo Dirnberger of How Far From Home share their experience on one of South Africa's most iconic hiking experiences. We have all heard these words. They’ve been quoted and re-quoted throughout our lives. Our parents, well-respected elders, esteemed banks trying to sell us an investment plan, and, well, anyone on Pinterest who collects inspirational quotes, has undoubtedly tried to convince us that indeed, ‘good things come to those who wait’. But in an age of instant gratification, one-click orders, and speedy pick-up and drop-off services like Uber, it is getting harder and harder to justify waiting for anything. So why, in this era, would we even consider waiting an entire year*, to spend five days hiking along a coastline? Perhaps we should begin by putting ‘a long wait’ into perspective. In certain countries, you will wait as long as three years to get your green hands on a Model 3 from Tesla. Similarly, year on year, Apple launches a new generation of the now-decade-old iPhone, and you will still be forced to wait several months before grabbing one for yourself. These are both revolutionary products (in most people’s opinion), and although the Otter Trail is not a revolutionary product, and has rather been described as a “life-changing experience,” it does enjoy similar hype due to the limited bookings, and it certainly creates similar elation, judging from the endless stories found across social media from Otter Trail survivors. If we look at the hype, it’s easy to say that the Otter Trail is a firm bucket list favourite (yes, for most Saffas, but also for avid hikers from over the border). The scenery has been described as “incredible,” “jaw-dropping,” “spectacular,” and although this is all just opinion, if you look at any pics hashtagged from the hike, you too will find yourself saying “wow!” The physical challenge of the hike has also been praised, and personally, lots of friends of ours have talked about doing the Otter Trail numerous times. There are a ton of blog posts ranking it as one of the best hikes in the world, and having people from hiking-meccas like the States, New Zealand and Canada coming all the way here just to receive their own Otter Trail certificate, can justify us saying that yes, the hype factor is definitely there. But is it enjoyable enough to wait 365 days for it? Having just returned from doing the Trail with a group of fellow photographers, we’re going to try to paint a picture as best we can, and let you be the judge. We don’t want to cover too many of the details – there are loads of posts available on the web which will tell you what to pack, when to go, where to access tide timetables and what to look out for each day. We want to rather touch on the uniqueness of the experience, and judge it as a bucket list item. You see, for the last two years, we have been trotting around the globe searching for incredible experiences, hoping to tick off as many items from our ever-growing Wanderlist (our own traveling bucket list). Our quest has been to fill our time doing things we’ve always dreamed of doing, experiencing things and seeing things that only few ever really get the chance to do and see. We know we have limited time on Earth, so we want to make sure that we’re living our life to the fullest, no matter what it takes. We have travelled far and wide and seen some spectacular things, but believe us when we say, that it is not only surprising and heart-warming, when something as magical as the Otter Trail blows us away, when it was right under our noses to begin with. We have never experienced (and this is in comparison to 26 months of travel across 40 countries), sitting on a cliff, overlooking a stunning vista (with our mouths gaping wide in sheer awe) with absolutely no one around! Not a single person for miles. All the impressive spots we visited over the last two years were filled with people. Lake Louise in Alberta Canada. Milford Sound in New Zealand. Fushimi Inari-Taisha in Japan. Ha Long Bay in Vietnam. The Blue Lagoon in Iceland (even at midnight). People everywhere. That’s just the way it goes with travel, and we have come to accept it. But with the Otter Trail, for the entire five-day experience, the only reminder of other people’s existence is the set of footprints you see from the previous day’s hikers, on the beach outside your hut, on the last day of the Trail. That is it. Can you imagine having a private wooden cabin (a different one every night - how spoilt! ), nestled perfectly along the Tsitsikamma Nature Reserve’s varying beach boulders, all to yourself? Picture a private beach party, with nature movie nights courtesy of the Milky Way and the bioluminescent plankton, while the bonfire crackles in the background, just for you? Yes it’s a gruelling hike (especially if you haven’t trained), and you’ll be reminded each morning of your backpack’s weight, as the straps dig into your hips and shoulders, and your muscles and joints test your mental coping ability on the inclines and declines. Yes you’ll get wet crossing through rivers. Yes you’ll question your life choices and scream “why am I doing this? !” several times during the five days. But with no one around to hear your in-the-moment moans, in an era of one-click orders, and speedy pick-ups and drop-offs where solitude is rarer than ever before, waiting only a year for a private beach experience like the Otter Trail will make you set your ‘book Otter trail’ reminder in your Calendar as an annual repeat. At least that’s what we believe. To book, visit the SANParks website, and to follow the rest of our adventure, click here. - WATCH: Things just got real for the How Far From Home SA couple!